Summary: The early life and career of Vito Corleone in 1920s New York is portrayed while his son, Michael, expands and tightens his grip on his crime syndicate stretching from Lake Tahoe, Nevada to pre-revolution 1958 Cuba. 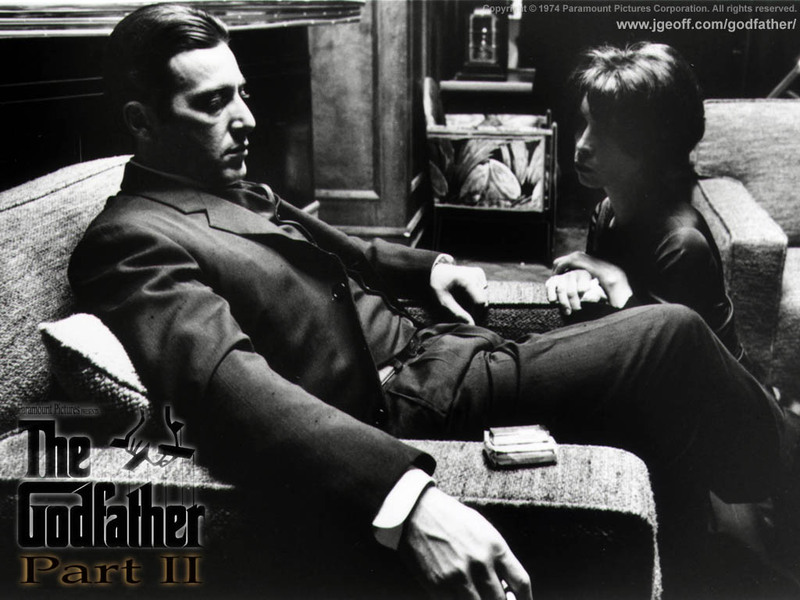 The Godfather Part II marks the consummation of saga of the Corleone Crime family. Regarded by many as the best sequel ever, The Godfather: Part II is equally brilliant as its precursor and good enough to stand on its own. The Godfather: Part II juxtaposes the early life of Vito Corleone (from his orphaned childhood to his rise in power in New York) with the life of his son Michael (after Vito's death to Michael becoming the most powerful Mafia head). The two stories are presented in form of parallel narratives with comparisons being drawn between the decision-making of Vito and Michael as the two encounter similar junctures in their respective lives. Al Pacino picks up from where he had left in the first part, consummating Michael's journey to the dark side, and in the process presenting Michael as the greatest anti-hero the western cinema ever embodied. The movie gave Pacino his third consecutive Oscar nomination and a perpetual stardom that catapulted him above the ruck, laying the foundations of his illustrious career. Just like in part I, his performance in this movie is absolutely worthy of an Oscar, but the Academy once again robbed him of the glory. Robert De Niro, in his Oscar winning portrayal of Vito Corleone, gives a great performance without uttering a single word in English. The synergy imparted by the brilliance of these two outstanding performers, makes the movie, a treat to watch. Robert Duvall reprises his role of Tom Hagen with a desired degree of subtlety and equanimity, reminding the viewer of Brando's portrayal in The Godfather. The entire cast is brilliant with special mention of Pacino's mentor and the pre-eminent method actor Lee Strasberg as Hyman Roth, John Cazole as Fredo, and Michael V.Gazzo as Frankie Pentageli, who are outstanding, to say the least. Francis Ford Coppola's brilliant and innovative direction gives Puzo's masterful story, an incredible impetus, which is well complemented by Nino Rota's poignant score and Gordon Willis' vivid cinematography. In a nutshell, the movie, though sanguinary and lengthy than its precursor, is an equally brilliant work of cinema, a profound and a deeply engrossing master piece. Please note that The Godfather has already been reviewed on this blog. Arguably Al Pacino's best performance ever. Really difficult to accept that he is the same innocent Michael who once had a heart of gold. Mind-boggling character development and role reversal. De Niro also shines in his relatively short portrayal. Thanks for bringing back some old memories! Best line...."I know it was you, Fredo. You broke my heart." Great Post:). 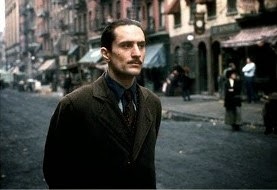 Robert Di Niro gives an unbelievably effortless performance:). Thought Pacino deserved an oscar too for his role:(. 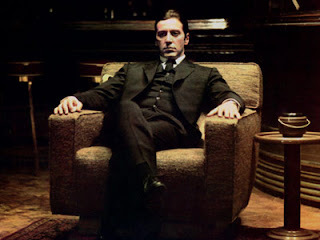 Liked godfather part 2 more than the first one:).